Arte Flamenco is a concert series held in the Palau de la Música Catalana. 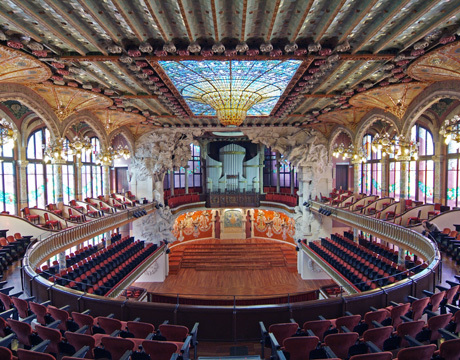 The theatre is considered to be one of the best examples of modernista style of Catalan architecture. Arte Flamenco expresses the true art form of flamenco, a style of music and dance that originated in Andalusia (Spain). 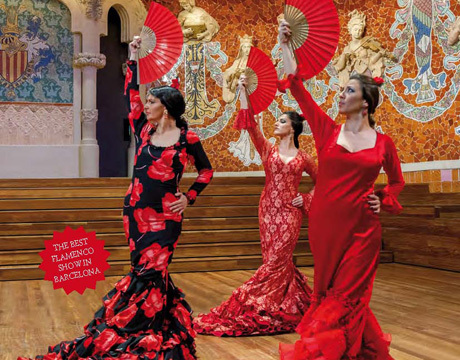 Flamenco as it exists today dates back to the seventeenth century and is based on Andalusian music and dance. Singing, playing and dancing are the main facets of flamenco, which has been declared of intangible cultural heritage by UNESCO in November of 2010. Al Son 5: a 5 stroke rhythm, adapted to flamenco percussion, song, guitar and dance. Tangos: one of the basic forms of flamenco song, with are several variations. Alegrias: one of the most joyous and alive of the flamenco styles. Tanguillos: festive, cheerful and flirtatious, this style is distinguished by its footwork. 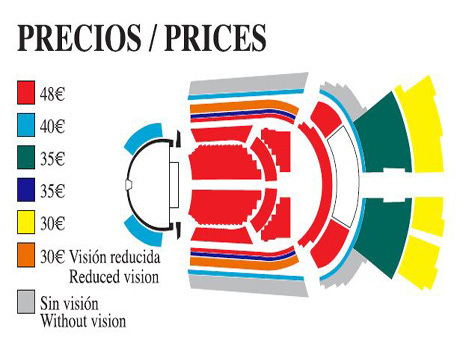 Solea Por Bulerias: one of the most powerful paces of flamenco. Tango Balada: Spanish musical form with roots in traditional Spanish copla which is also popular in Latin America. Seguirillas: One of the oldest styles. Buleria: Cheerful flamenco featuring singing and guitar. Singers: Sara Flores / Jorge "El Pirata" Y Mariano Santiago "El Makande"